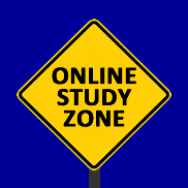 Welcome to the ADL- Academy for Distance Learning website ("the Site"), which is owned and operated by ADL - Academy for Distance Learning Ltd. Upon enrolling in a course with ADL, you ("the Student") are entering a legal agreement under common law, in which you agree to abide by the conditions of enrolment (including meeting stated payments), in exchange for the service offered by ADL in the delivery of the course. The terms and conditions are subject to the jurisdiction to the laws of the UK. These Terms and Conditions form the agreement between ADL and the Student. It is the Student’s responsibility to fully read, understand and agree to all Enrolment Terms & Conditions, Privacy Statement and Fees & Charges upon enrolment. By agreeing to these Terms and Conditions and the Privacy Statement on the enrolment form, the Student confirms they possess a full understanding of all Terms & Conditions, and willingly accepts all such terms. The following allowable time frames are for the course duration, from the date payment is processed. You have 1 year to complete a 100 hour module. Students wishing to cancel their enrolment must submit notification of withdrawal in writing within 14 days of the confirmation of enrolment. In order to apply for a cancellation, the Student must complete the course change form available on the ADL website. It is recommended students contact ADL within 24 hours of submitting a cancellation request to confirm receipt. ADL accepts no responsibility for, and will not be liable for non-receipt of messages or transmissions. Students are considered to have commenced their course from the date that course login details have been issued by ADL. Refunds may be granted in the event an application is submitted within 14 days of confirmation of enrolment. For a period of 14 days from enrolment, a refund will be given - less postage and printing cost where applicable, plus an administration fee of 15% (minimum fee of £50.00) calculated on the total amount of tuition fees paid at the time of cancellation. The student must notify the Academy's administration department in writing and the letter be received within the 14 day period, either by, email, mail or delivered in person. If course notes have already been sent to the student, they must be returned before the refund can be processed. Failure to return course materials in a timely manner will result in the cancellation of all refund processes. If you would like to request a refund, please complete the change of enrolment form available on the ADL website. Refunds will be issued via the original method of payment. When more than one discount coupon code is available for purchasing courses and eBooks, only one chosen by the customer can be used. •The Student is not in good financial standing with ADL. If ADL approves a deferment or extension, recommencement fees may apply. For a period of 30 days following receipt of the material, the Student may apply for special consideration to transfer from one course to another. Applications must be made in writing via the course change form available on the ADL website. A transfer fee of 15% (minimum fee of £50.00) calculated on the total amount of tuition fees paid at the time of cancellation will apply. ADL will apply credit for monies paid for the original enrolment against the new module. No refund will be issued for any difference in the course price. In the event ADL grants a transfer request, confirmation in writing will be given. Course materials must be returned to the school within 10 working days for the transfer to be valid. Failure to return materials in a timely manner will cancel the transfer process. In the event the Student wishes to transfer their enrolment to a third party, an application must be submitted in writing via the change of enrolment form available on the ADL Distance Education website within 2 months of enrolment. An administration Fee of £50 (plus postage and handling costs) will apply. ADL will apply the credit for monies paid for the original enrolment against the new course, but no refund will be issued for any difference in course price. In the event an assignment has already been submitted and returned, a student transfer will not be granted. ADL is committed to protecting your privacy. We use the information we collect about you to maximize the services that we provide to you. We will get your permission before retaining any personal information about you. ADL newsletters are used to communicate important developments to ADL students. It is recommended students remain subscribed to the student newsletter. In order to best protect against cyber-attack, hacking and unlawful accessing of sensitive and confidential student records, IT IS HEREBY AGREED that all such records shall be confidentially destroyed within fourteen (14) days of cessation of student enrolment and to remove any doubt, ADL is irrevocably authorised to do so within such time frame. ADL maintains strict online security measures. This is to ensure that our business is managed in accordance with worldwide legal developments and to protect against cyber-attack, hacking, and unlawful access of confidential records. Every attempt is made to ensure all information provided by ADL is accurate, and that the Student has attained all competencies taught within a course, at the time of assessment. Graduated students are responsible for their use and maintenance of acquired competencies. ADL takes no responsibility for, and will not be liable, for any action or claim in connection with, or arising from any such information, instruction or advice, given by any student or ex-student. ADL takes no responsibility for, and will not be liable for the Student's or ex-Student's interpretation and/or misuse of materials. No courses, course materials and study notes are to be republished, sold, loaned or copied, or used in any way outside the pursuit of studying the course by the enrolled Student without explicit permission granted in writing by the Principal. 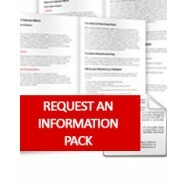 As a condition of use of this website, you agree to not use the Site or its content and materials for any unlawful purpose, or in any ways prohibited by these Terms and Conditions. ACS Distance Education gives no endorsement, accepts no responsibility for, and will not be liable for, any third party links. 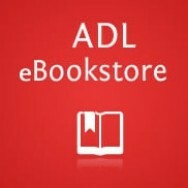 If you become aware of misuse of the Site by any person, please contact ADL with your concerns.